This book is about the history of Goa, and much more. Dr. Velinkar develops a narrative on Goa, the epicentre of Portuguese hegemony in India, with Old Goa as the capital. Goa from ancient times was part of Aparanta, the northern segment of the Indian West Coast, well known for its resources and riches, and for its famous harbour too which was captured quite a few times over the centuries. Its natural features and resources across the centuries need to be understood, as do the people who settled here and jostled for power. 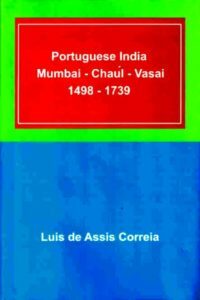 This is a book about the history of Goa, and much more. It tells us about the what, when, who, why and how of the past half-millennium and beyond. It is an attempt at fitting together the pieces of the jigsaw puzzle of Goa’s complex past, while also offering insights into various perspectives on the making of this region. Joseph Velinkar, of Goan origin, was born in Mumbai and studied in India and abroad, ending with a Master’s in Ancient Indian Culture and a doctorate in History, both from the Bombay University. He has taught in the Holy Family College (Andheri), St Pius College (Gurgaon), St Xavier’s College (Mumbai), and was Principal of St. Gonsalo Garcia College (Vasai). He speaks English, Spanish, Portuguese, Latin, Konkani, Marathi and Hindi.